We are Sinking, Send Help! 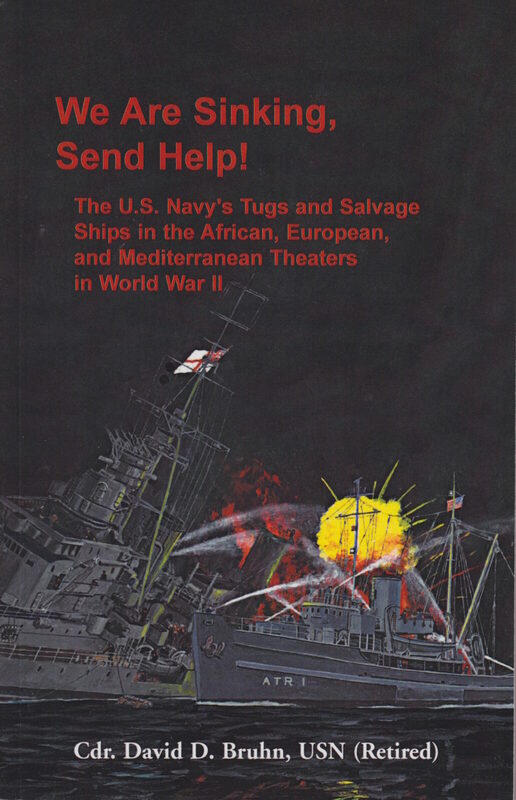 presents readers with a well laid out chronology of US Navy salvage vessels and their contributions to the African, Mediterranean and European theaters of battle during World War II. 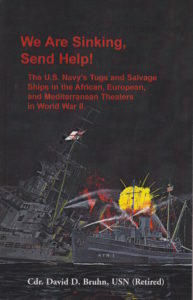 Commander Bruhn carries the reader from the beaches of North Africa to the harbors of Italy and France where salvage crews and vessels of the US Navy rescued and repaired stricken landing craft and ships damaged during landing operations. This is an often overlooked area of naval history. 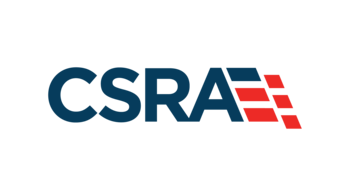 It is especially interesting in light of recent headlines concerning the salvage and scrapping of the Italian cruise ship Costa Concordia, as well as the sinking of the Chinese Yangtze river cruise ship Eastern Star. Apart from a few minor quibbles, Commander Bruhn does a fantastic job relating the important role this arm of the Navy played in the taking of Africa, Italy and France. 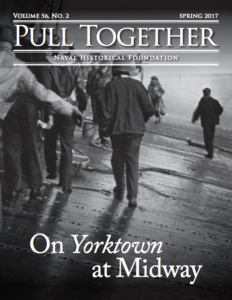 Readers of maritime history will enjoy picking up a copy. Books on subjects this obscure often err on the academic side, making them unapproachable to mainstream audiences. Bruhn maintains the delicate balance between providing the facts, figures, statistics and footnotes necessary for a reference work while making the material highly readable and entertaining. Across fifteen chapters, Bruhn walks the reader through every major engagement while also highlighting vessel specifications and the post-war duties played by the US Navy’s salvage service. One particular strength of the work is that each chapter can be read as a stand-alone “story” without highly specialized knowledge or having read every prior chapter. Bruhn’s decision to highlight Hollywood star Douglas Fairbanks’ passing association with the Navy’s salvage vessels was a good one and is an entertaining diversion from the main focus of the book. Two minor quibbles with Bruhn’s approach: several chapters contained a slight repetition of vignettes and some of the tables would have been more appropriately located in the appendices. Although not a beach read, the book is well researched, tightly written and edited and highly informative. For the history aficionado looking for a highly engaging read on unusual subject matter or for the student of naval history needing a readable compendium of reference material, this is an excellent choice.